Community Development Corporation of Long Island, Inc. (“CDCLI”), is a HUD certified not-for-profit housing agency selected as the subrecipient for the Town of Babylon to administer the Town of Babylon Community Development Block Grant Home Improvement Program. The Town of Babylon Home Improvement Program (the “Program”) provides no-interest, deferred payment loans to qualified low to moderate income homeowners in the Town of Babylon. The purpose of the Program is to improve housing conditions and correct housing code violations by repairing and rehabilitating health and safety hazards, including lead-based paint removal. The maximum loan is up to $50,000, which may be higher if lead-based paint removal is required. There is no interest. Monthly payments are not required. The loan will be evidenced by a Note and Mortgage which will be recorded against the property with the Suffolk County Clerk. Recording fees will be added to the loan amount. Payment of the loan will be deferred until the occurrence of certain events set forth in the Note and Mortgage. For example, if (1) the property is sold, (2) the title is transferred, (3) the home is refinanced for cash out, (4) the property is rented, or (5) the property is no longer the primary residence of the Applicants. If any of such events occur, the amount of the loan will be due and payable in full. Please be aware that any proposed refinancing after award will require a prior subordination review by CDCLI or payback of funds, and home equity loans are not permitted. FUNDING IS LIMITED. RESIDENTS WILL BE SERVED ON A FIRST-COME, FIRST-SERVED BASIS, UNTIL FUNDING IS EXHAUSTED. APPLICATIONS MUST BE RECEIVED BY NO LATER THAN 5:00 P.M. ON THURSDAY, FEBRUARY 28, 2019. Applicant must be a low to moderate income household. All applicants must have a gross annual “household” income not exceeding 80% of the area median income (as determined by H.U.D. ), adjusted for family size. Please see the chart below for income limits by household size. Property must be a single family residence located in the Town of Babylon. Homeowner must execute a Note and Mortgage and a Deferred Loan Agreement. Additional requirements apply as provided in these Program Guidelines and related documents. The maximum permitted gross annual household income for anyone applying for the Program must be at or below 80% of the median annual household income, adjusted by household size. The household income limits are as set forth below and are in effect as of January 1, 2019. The household income limits are subject to change as determined by H.U.D. *Includes all income – overtime, bonuses, pensions, social security, 401K distributions, tips, etc. Total household income minus allowable exclusions cannot exceed the maximum annual income listed above for the household size. CDCLI will project the income that will be received for the upcoming 12-month period. Tax returns and pay stubs will be required for all household members whose earnings will be used as part of the income qualification. Any person whose earnings will be used to qualify for the program will be required to sign an IRS Form 4506 or 4506T tax release form to verify their tax returns with the Internal Revenue Service. A FULLY completed Application, together with ALL supporting documentation, must be submitted. Applications may be (1) completed on-line at CDCLI’s website at www.cdcli.org, (2) faxed to CDCLI at 631-471-5341, or (3) delivered to CDCLI either in-person or by mail to CDCLI’s offices located at 2100 Middle Country Road, Centereach, NY 11720 ATTN: Town of Babylon. Applications may be obtained by (1) downloading from www.cdcli.org, (2) calling CDCLI at 631-471-1215 x222, (3) emailing CDCLI at homeimprovement@cdcli.org, or (4) picking up at CDCLI’s offices at 2100 Middle Country Road, Centereach, NY 11720. Applications submitted on-line will be automatically dated and time stamped for submission and included in a database. Applications submitted by fax will be deemed received pursuant to the fax receipt. Applications received in-person or mailed will be manually dated and time stamped when delivered and included in the same database to track date and time of submission. Applications will be reviewed by qualified CDCLI staff on a FIRST-COME FIRST-SERVED BASIS, as Applications are received. Each applicant will be notified by email, if available, or by regular mail if no email is available, of their status as preliminarily eligible or ineligible within 5 business days. If applicable, documentation for current Social Security benefits, child support, pensions, disability, unemployment, etc. Applications will be reviewed by qualified CDCLI staff on a FIRST-COME FIRST-SERVED BASIS, as Applications are received. Each applicant will be notified by email, if available, or by regular mail if no email is available, of their status as either (1) preliminarily eligible or (2) ineligible, within 5 business days. APPLICATIONS THAT ARE NOT FULLY COMPLETED OR THAT HAVE BEEN SUBMITTED WITHOUT ALL REQUIRED DOCUMENTATION WILL BE DEEMED INELIGIBLE. APPLICATIONS THAT ARE FULLY COMPLETED AND HAVE ALL REQUIRED DOCUMENTATION WILL BE DEEMED PRELIMINARILY ELIGIBLE. Preliminarily eligible applicants will be contacted by a representative of CDCLI in the order received to arrange a meeting to review the Program requirements. A phone interview may be scheduled with the applicant, if requested. The application forms and documentation are reviewed, verifications are obtained for income, employment, benefits, mortgage, etc. to determine final eligibility for the program. A credit report and title report may also be obtained. If CDCLI encounters discrepancies and/or misrepresentations, and/or there are income, household composition or other important questions that can’t be resolved, CDCLI reserves the right to deny assistance to the household. In this case, the applicant may re-apply after six months have elapsed from the time of written assistance denial. Applicants that complete the process described above, will be notified by CDCLI of Final Eligibility for the Program. Such applicants will be notified by email, if available, or by regular mail if no email is available, of their Final Eligibility status. Ineligible applicants will be placed on the Waiting List in the order in which received. If all the eligible applicants are exhausted and funding remains, CDCLI will then contact the applicants on the Waiting List by mail, email, and/or by telephone, as their name is reached on the waiting list, to advise them of funding availability. The homeowner will then have 30 calendar days to complete and return a FULLY completed Application together with ALL required supporting documentation. Should a homeowner fail to respond to the initial contact for assistance or to provide the Application and any of the required documentation within the 30-day period, the homeowner’s name will be removed from the waiting list. If the homeowner desires assistance at a later time, he/she will be placed on the waiting list at that time. For applicants who receive Final Eligibility, an appointment will be made for CDCLI/Consulting Architect to evaluate the existing condition of the house. A detailed work write-up is prepared, a Lead Based Paint Inspection/Assessment is ordered, as well as an environmental review and asbestos inspection. Bids are solicited from at least 3 qualified licensed contractors on the CDCLI approved contractor list. CDCLI will provide a list of these contractors to assist the homeowner. The homeowner may suggest a contractor to be included in the bidding process as long as the contractor is licensed, certified and has all of the proper insurances and adheres to the rules of the Program and CDCLI contractor requirements. CDCLI/Consulting Architect will then conduct a walk-thru of the house and attendance is mandatory for any contractor interested in bidding on the job. Sealed bids are returned to CDCLI. The lowest responsible bidder will be awarded the contract in accordance with CDCLI procurement policies. During the construction, interim inspections of the work performed will be conducted to ensure quality standards. When the work is completed, it is inspected by CDCLI, Town of Babylon inspectors, and the homeowner, prior to final acceptance of the work. The homeowner, the contractor, CDCLI and the Town of Babylon inspectors will sign-off on acceptable completion of the work, and the homeowner will execute a Homeowner Certificate of Completion. The owner of the home must be a U.S. Citizen or Qualified Resident Alien. For the purposes of this program, a qualified resident alien is an alien who is lawfully admitted to the United States for permanent residence under the Immigration and Nationality Act. Exterior upgrading, such as woodwork repair, siding, trim, etc. 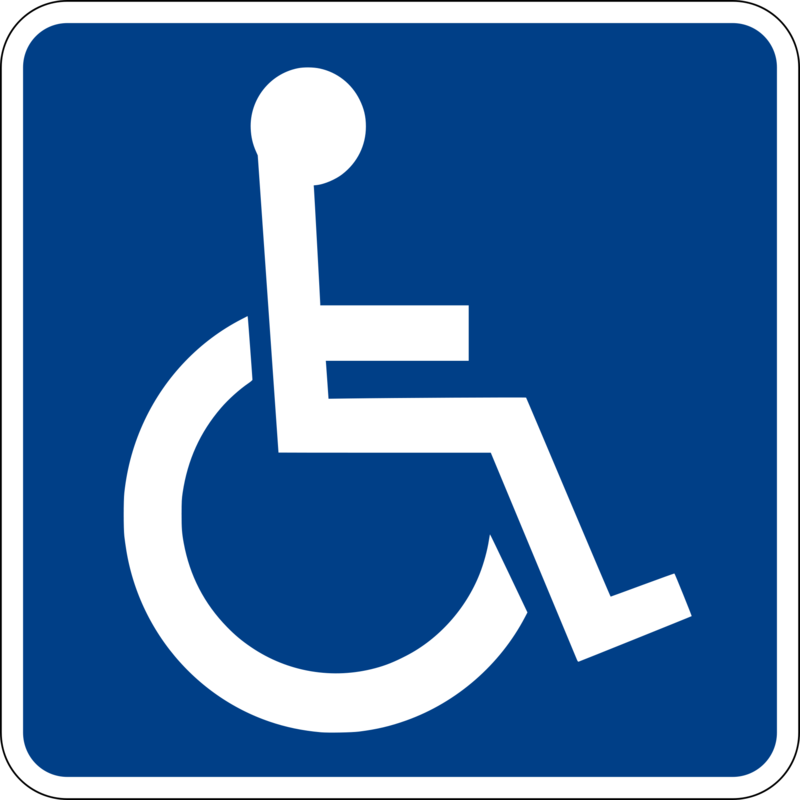 Modifications for the physically disabled, such as walks, ramps, wheelchair showers, etc. Only owner occupied, pre-existing single-family primary residences, located within the Town of Babylon, are eligible for the Program, including Town Houses, Condominiums, and Manufactured Homes. Property Taxes, Homeowners Insurance, Flood Insurance (if applicable), and Mortgages must be paid and reflect a current status at the time of application. Applicants must occupy the property as their principal residence with a valid Deed. In the event that a homeowner sells, rents, transfers title or discontinues residence in the rehabilitated property for any reason, the loan becomes due and payable in full. Homes built before 1978 are required to have a lead-based paint test done as a part of the application process once an applicant is accepted to the program and a scope of work has been approved. All costs are included in the fees assessed by the program to the homeowner and added to the loan amount. If the home tests positive for lead, certified lead contractors bid on the house to abate/encapsulate the lead in the home and a clearance test is performed after the work has been completed with a report provided to the homeowner. The property must have sufficient available equity to qualify for the Program. Including the amount of the Loan advanced from the Program, the potential Loan-to-Value (LTV) of the property cannot exceed 100%. CDCLI will utilize an Automated Valuation Model, such as Zillow or Redfin, to determine the value of the property. Two such valuations will be obtained and the average will be the value of the property for purposes of the Program. Applicants with a potential LTV in excess of 100% will be ineligible for the Program. If an Applicant is denied based on the LTV, the Applicant may dispute the valuation by providing an independent Broker Price Opinion to CDCLI. The documentation will be reviewed and a final determination made, in writing, in consultation with the Town of Babylon Community Development Office. If eligible, the homeowner is required to attend a closing and sign three documents: (1) a Note and Mortgage, (2) a Deferred Loan Agreement, and (3) a Contractor Agreement with the successful contractor. The Note and Mortgage reflects the financial terms including deferred payment, no interest, and circumstances under which the loan must be repaid. The Deferred Loan Agreement contains additional provisions regarding the Program obligations. The Note and Mortgage, the Deferred Loan Agreement, and the Contractor Agreement are available to be reviewed at CDCLI’s website at www.cdcli.org. Please keep in mind that the closing may take place at the Community Development Corporation of Long Island (CDCLI), located at 2100 Middle Country Road, Centereach, N.Y. 11720. For additional information, please feel free to contact CDCLI at (631) 471-1215 x222 or by email at homeimprovement@cdcli.org.